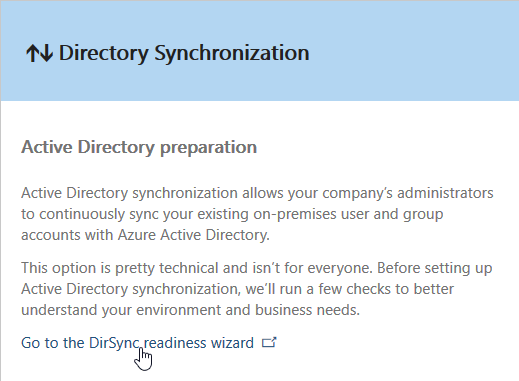 Although Azure AD Connect has been released for some time, both DirSync and Azure AD Sync are still supported for performing synchronization from an on-premises Active Directory to Azure AD/Office 365 – although Azure AD Connect is definitely the recommended solution. Microsoft recently announced that DirSync and Azure AD Sync are now deprecated and both products will reach End-of–Support by 13. April 2017. 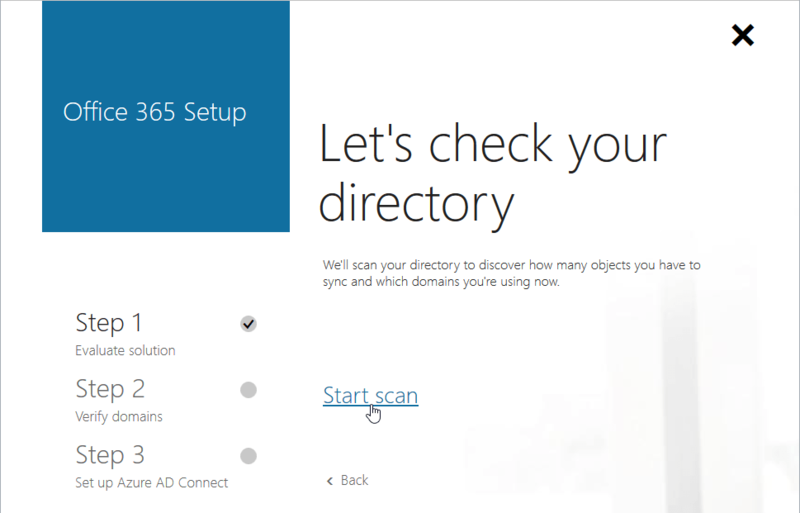 The process to enable Active Directory Synchronization through the Office 365 Admin Center has also been changed from linking to DirSync to use the new Azure AD Connect. 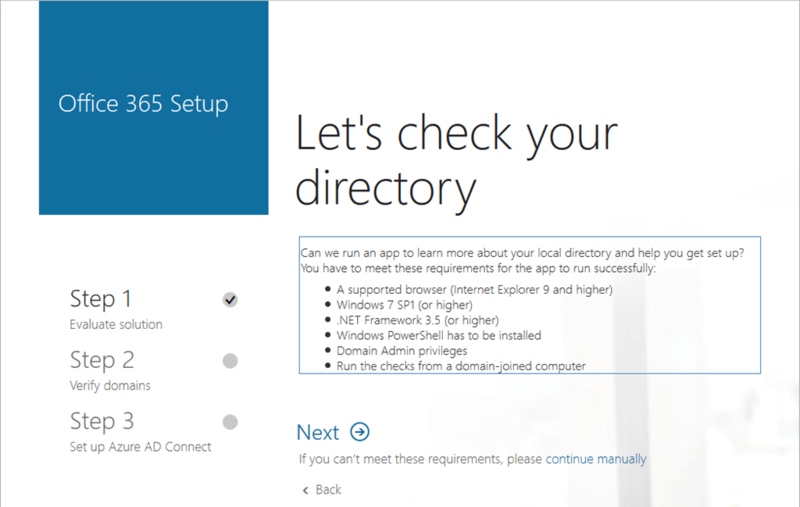 This change applies to both the legacy Office 365 Admin Center and from the new Office 365 Admin center that is currently in preview. Click Scan to start the three-step setup process. Click Next and proceed with the three-step setup process.